Description: This is a photo montage using masks to blend images together. Process (Programs, Tools, Skills, Steps taken while designing): I looked through lots of pictures and tried quite a few different options, but this is the one I liked the best. 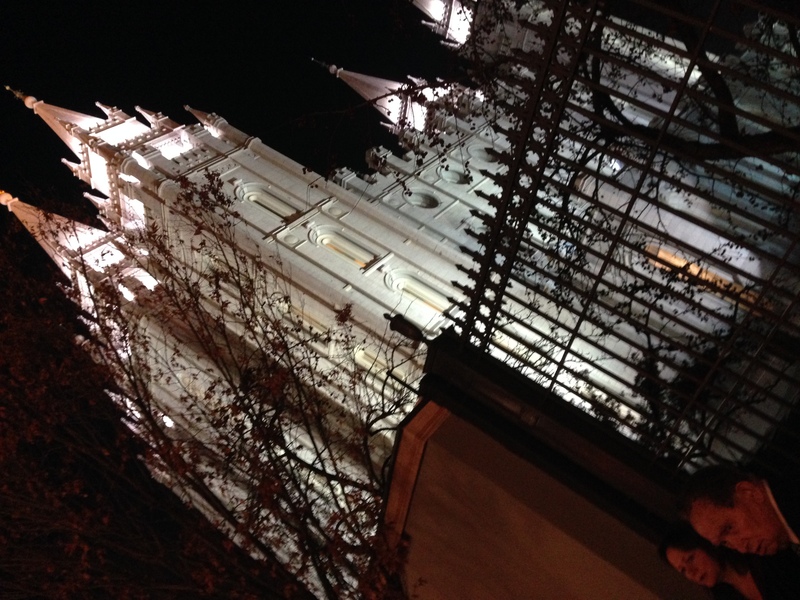 I took the picture of the Salt Lake Temple when we were in Utah for Christmas. As I was going through pictures this one seemed to feel right. I had taken it an an angle so I had to rotate it. 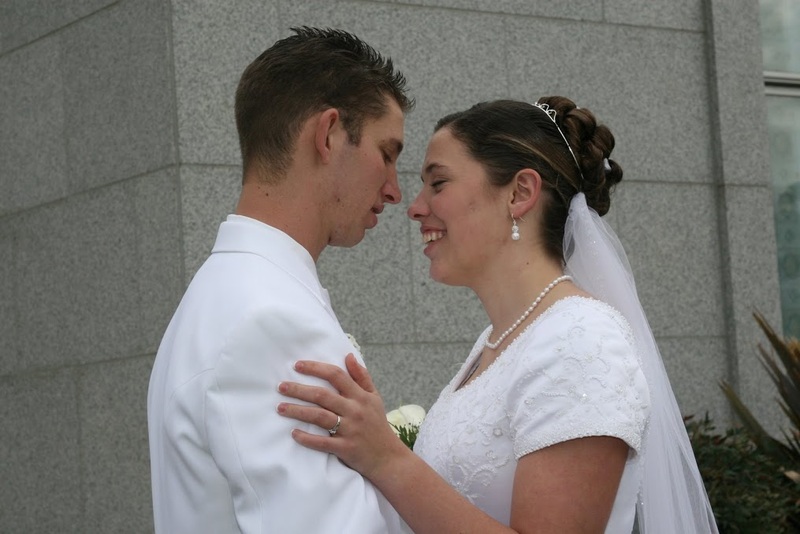 Then I looked through lots of wedding pictures of my daughter’s wedding and decided on this one. I overlapped them and then used a mask on both of them to blend them together. I decided to use a black background to show a lot of contrast so that the couple would really stand out. Then I found the quote that I wanted and used a script font and a larger size to make it stand out from the rest of the text. I liked the gold color for the text and thought it blended well with the colors in the temple, yet contrasted enough with the black to stand out, yet a rich tone to it (rather than white). 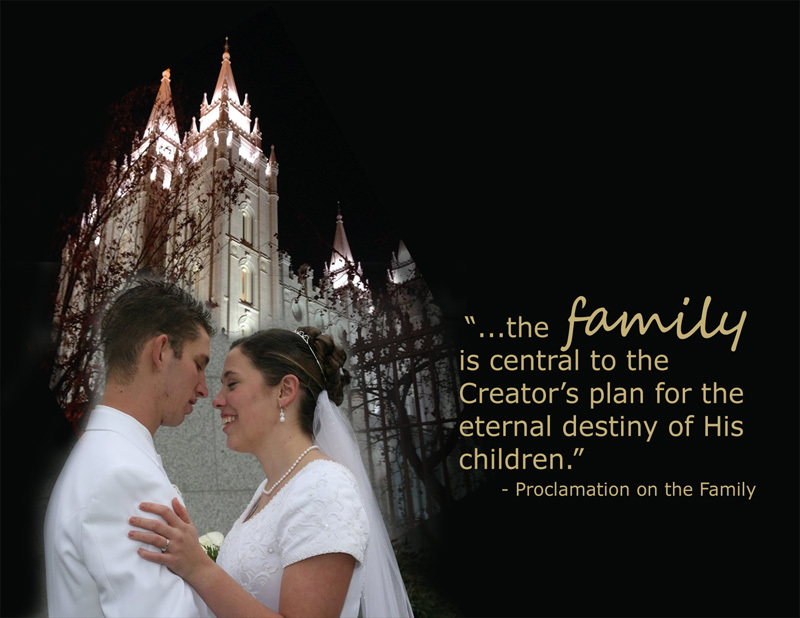 Message: I chose these pictures and the quote and my message is the Family and that Families are the focus of God’s plan and that they are forever. Audience: LDS people primarily (they would understand it) although, it could be a conversation starter about the church for non-members if they saw this in our homes. Top Thing Learned: I think I really was able to design this in a way that the message is very clear and beautiful. My son-in-law was really touched and wanted me to get it framed for them. I’m gaining confidence in my ability to design. Filter / Colorization used and where it was applied: I did not change in colorization in this piece. Color scheme and color names: I’m not sure if this is an Monochromatic or a Complimentary color scheme; the white and black aren’t on the color wheel, but I would guess they are complimentary, but there are various shades of gold in the lettering and in the top of the temple with the lighting etc. So I would say analogous because of the shades of gold and if you add lots of white and lots of black, they you have white and black. Sources (Links to images on original websites / with title of site): These images were on my computer. The first one is of my daughter’s wedding (the photographer gave us the CD and said we could do whatever we wanted with them) and the second one I took in December when I was in Utah for Christmas. I actually took it on my iPhone and I had to take it diagonally so I wouldn’t cut off the top. When I was looking through pictures trying to get ideas, I decided I really liked this one and wanted to use it (after doing other ones with other pictures). 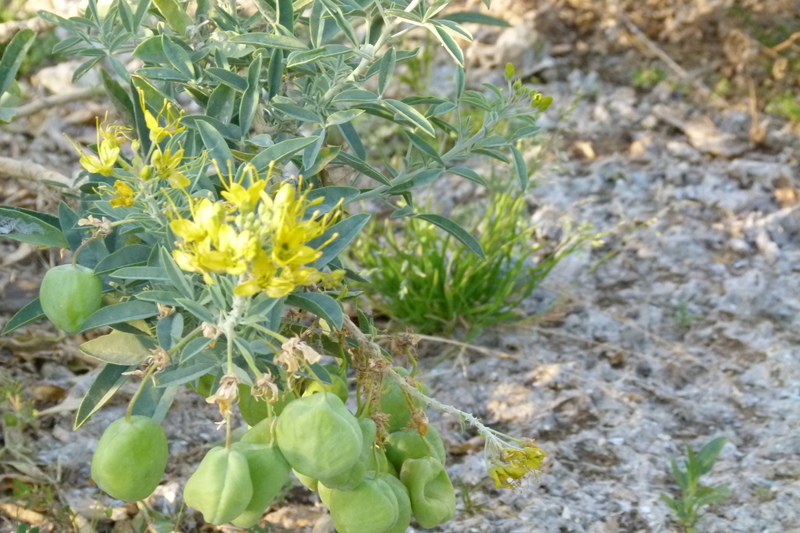 Description: This is a flyer showing the photography of this plant and using it in a flyer for a Botany Club meeting. Process (Programs, Tools, Skills): The pictures were shot with my father-in-laws Panasonic Lumix FMZ100 camera. I had never used this camera before, or anything more than a “point and shoot”. So, even though I good light shooting these pictures, I felt like I was “shooting in the dark.” My husband went with me and showed me how to use the metering to focus on foreground objects and background. I got some very interesting pictures of light coming through clouds and such, but I was really intrigued with this plant and decided I wanted to use it in my project. I used the colors in the photo (analogous: yellow, lime,green); I find that God is the Master at color schemes. I used Photoshop and adjusted levels, vibrance and sharpness to make it really pop. I decided to use rectangles in the color scheme colors (muted a little). I felt like the yellow around the picture would really bring out the yellow in the flowers. I decided to center the title over the plant rather than all the way to the left. I decided not to put the borders all the way around the picture to use asymmetry. (most the people I asked liked it that way). To balance it out, I put the date and time right-aligned at the bottom and then the place is wrapped around the corner going up the side. I tried a lot of san serif fonts and other sizes etc. but I didn’t like any of them so I stayed with what I have here. Because I couldn’t find other fonts that I liked better, I decided to add a yellow stroke on the title text to add contrast and draw more attention to the title text. I really liked how it turned out. 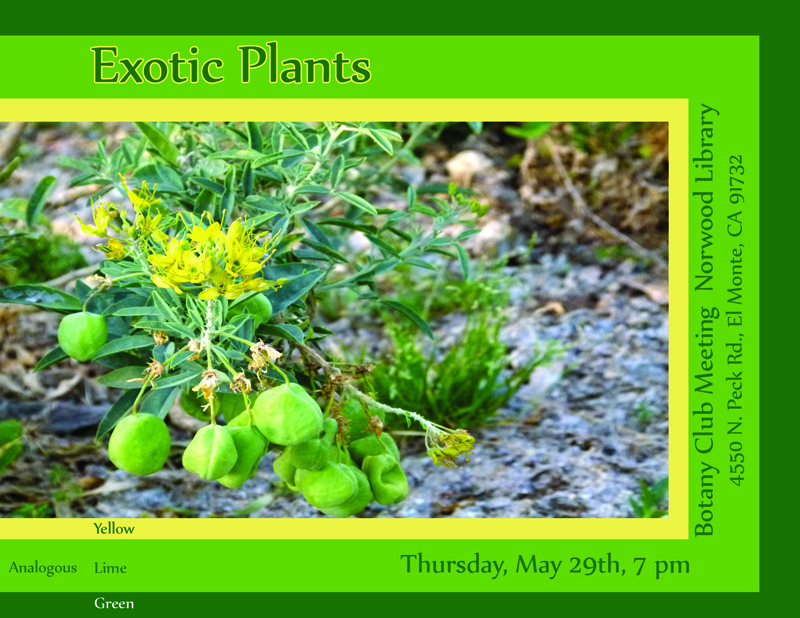 Message: This flyer is designed to excite Botany Club members about the next meeting about Exotic Plants. Top Thing Learned: I’ve never done any “photography” except “point and shoot” so I learned how use metering and focus in on an object. I really enjoyed learning about this and I would love to learn more about how to really use a camera. Date and location you took the photo(s) Photos were taken Tuesday, May 20, 2014 at Peck Road Park, El Monte, CA. 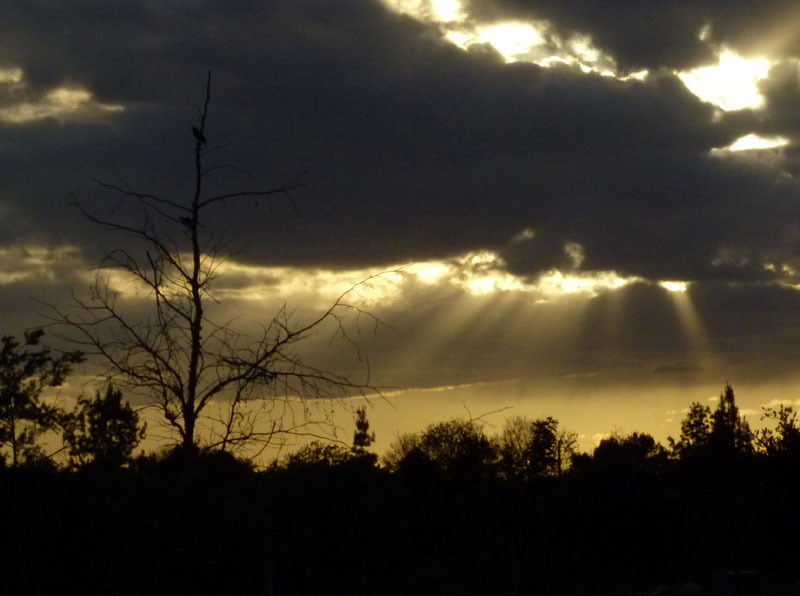 I thought this was a pretty amazing sight showing light coming through the clouds as the sunset. I know it’s a little dark, but I loved the picture. The light is coming in at a diagonal from the upper right to the lower left. 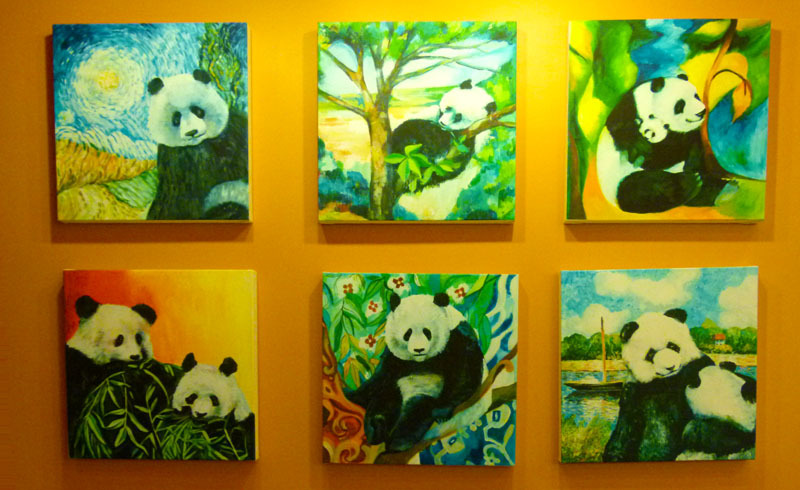 We went to Panda Express to take a picture of the food (and eat of course) I fell in love with the Pandas on the wall and had to take a picture of them. Besides, the lady at the restaurant was worried when she saw us taking pictures of the food. 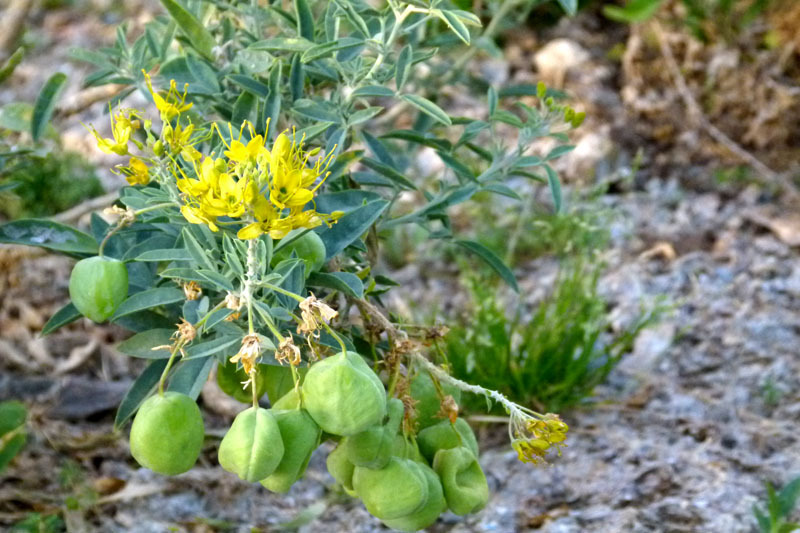 This is an interesting plant with an interesting yellow flower and strange pods hanging down, but I thought is was interesting. This one shows the foreground in focus. 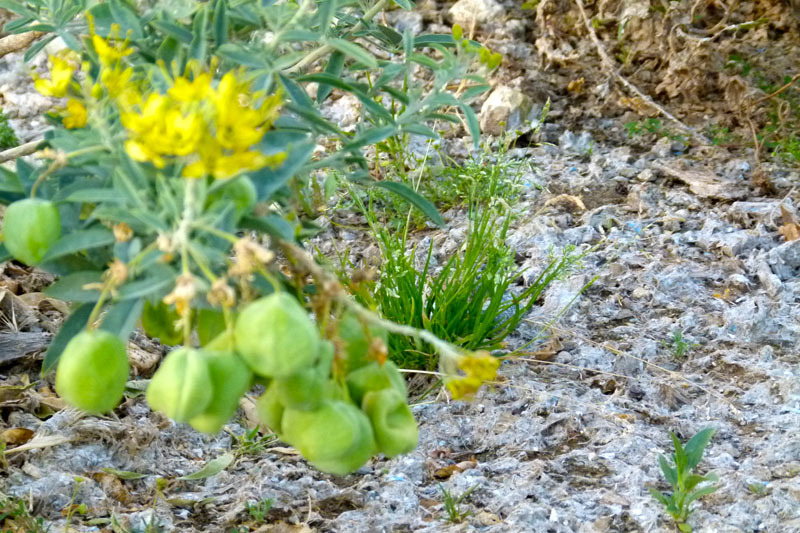 This is the same interesting flower, but this time with the background in focus. 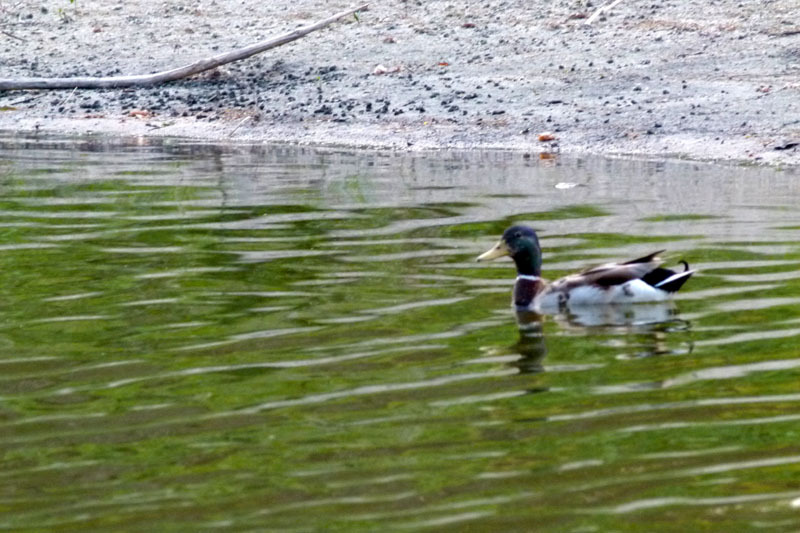 This shows a duck leading into the photo. Is was hard because the duck wouldn’t hold still. He is leading into the picture with room to continue in the photo. 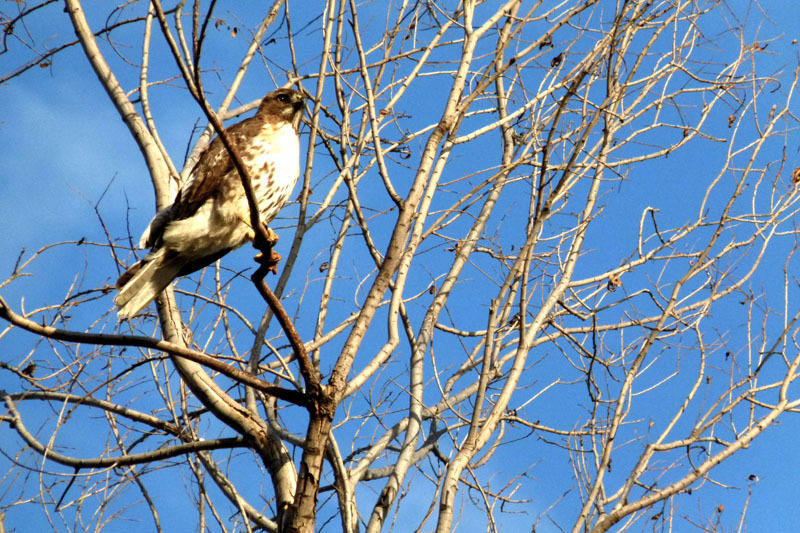 This is a picture of a hawk in a tree. He and the branch that he is perched on cause a strong line at the third. I think it looks nice against the nice blue sky. 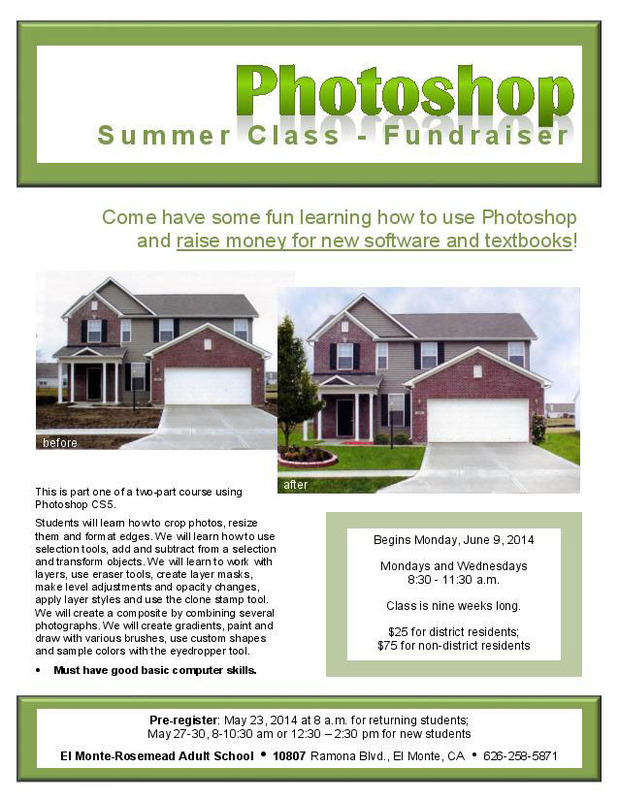 Description: This is a flyer for a Photoshop class that I will be teaching in the summer. I created it and then found out that it was supposed to be a fund raiser. After texting our teacher, she told me that I could turn it into a fund-rasier. This was done with Microsoft Word program. Britanic Bold font and the Arial font for the rest. 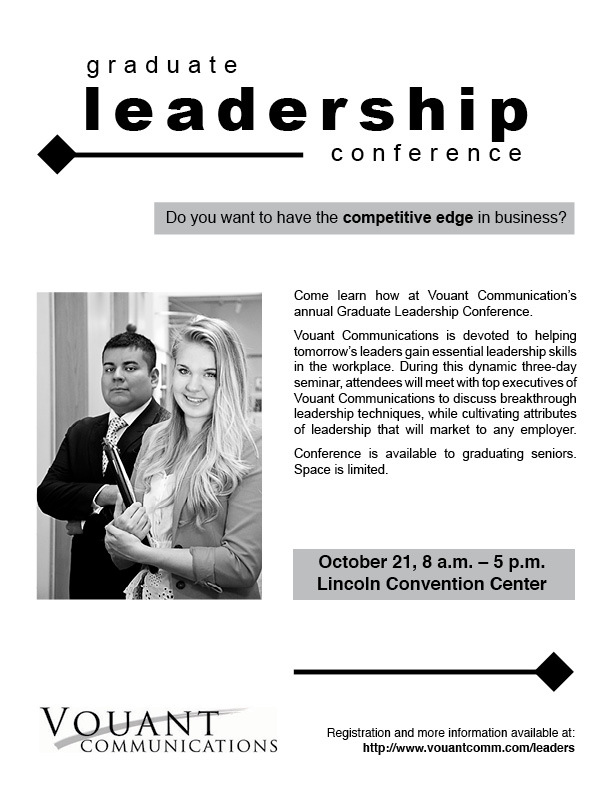 I tried using a serif font for the body copy and didn’t like it as well. different font and is spread out so that the white space also attracts attention that it is a fund-raiser. Below that we see what the money raised will be used for. In the smaller box towards the bottom we find the date, time, duration of the class and the price of the class. Audience: The audience is adults over (18 years and older), male and female. Top Thing Learned: I prefer doing my layout in InDesign where I have guides etc. I was already familiar with the design tools in Word, they keep adding more and more options for changing photos in Word. It’s great to know if you are working on a computer that doesn’t have the Adobe programs. (I used a newer book for the original pictures and this book for these pictures). These pictures were origianally 1369 x 949 px and 1369 x 936 px. I used the scanner at my home which is an Cannon MP 170.
contrast for the focal point and hierarchy. 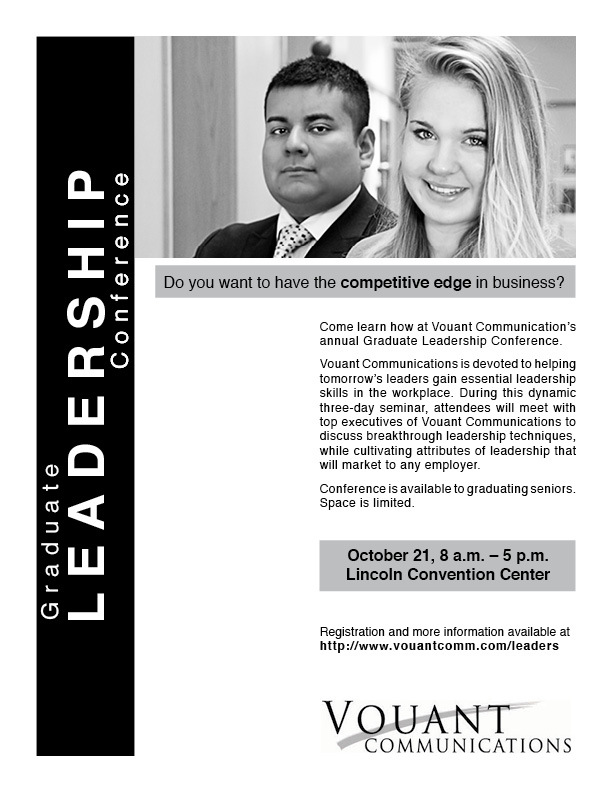 The white text on black catches the attention as well as using very large type for Leadership. The second in importance was gray/black so the movement in this piece went from the left, then to the top where the image was and then down the page on the right side with the “call to action” towards the bottom where they will remember the “where” and “when” and how to register. My white space is grouped and it gives my eyes a rest between the heavy white text on black and the rest of the text. I also used repetition to include a second gray box behind the date, time and place which I feel helped to unify the piece. emphasized Graduate, that students would think it was about graduation and possibly not go closer to read the rest, especially if they already thought they knew the details of graduation. I’m actually okay if it attracts the attention of those that aren’t graduating seniors, that way they notice what it is and know that they have something that they can look forward to when they are seniors, that will help them develop leadership qualities.